First, it’s not “Me Too”, it’s “Me Toe”. 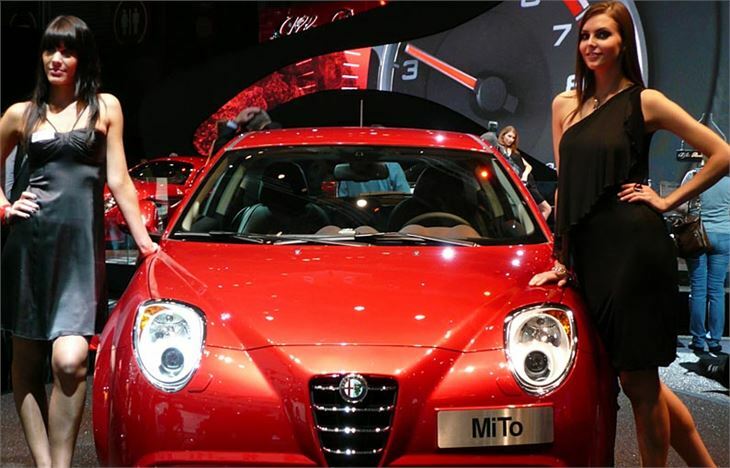 An amalgamation of the cities of Milano, where Alfa Romeos comes from, and Torino, where the Alfa MiTo is built. It also, rather handily, means “myth” in Italian, which could be a little bit unfortunate for a car that blends elements of the magnificent, contemporary Alfa Romeo 8C, and the cute little Giulietta Sprint of the early 1960s, yet is really a FIAT underneath. 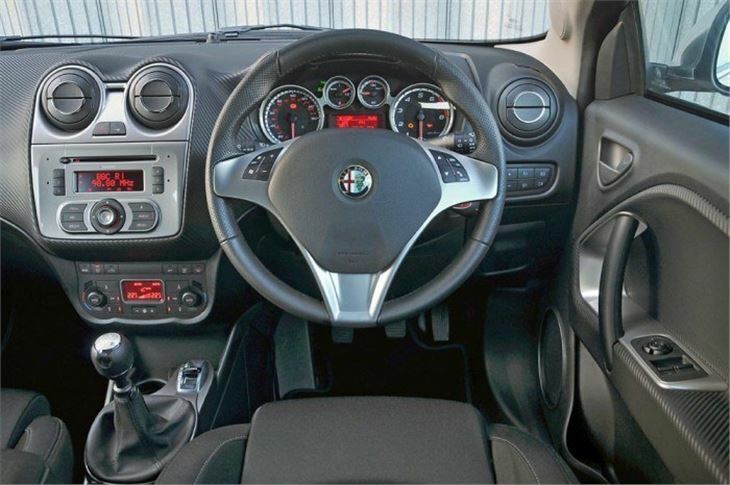 The car is unashamedly not aimed at traditional ‘Alfisti’, who have recently been buying Alfa Romeos in ever decreasing numbers. 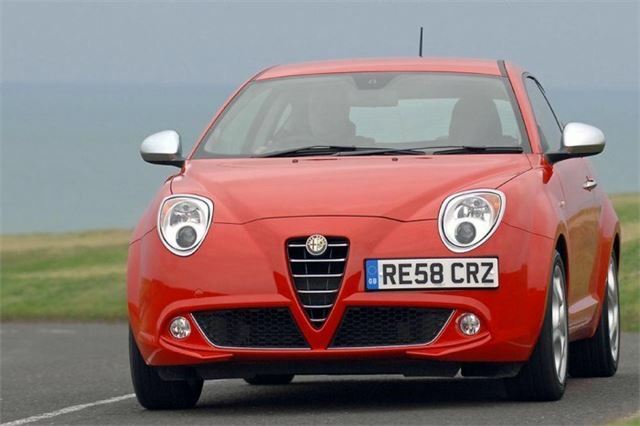 But instead at the ‘want it now’ generation, in their 20s and 30s, who fell for the current FIAT 500 without ever realising it was a styled on a tiny 1950s economy car. Though this does rather depend on them being able to get credit. Inside, on top versions of the MiTo anyway, there’s the same all singing, all dancing Microsoft Blue&Me system that hooks up brilliantly with i-Pods and USBs and most mobile phones. And in all versions there’s a little lever next to the gearstick with the initials ‘D’, ‘N’ and ‘A’ inscribed on its quadrant. ‘N’ is for ‘Normal’, that translates to a fairly stiff ride and a curiously disconnected relationship between the steering, gearshift and foot pedals. ‘D’ sharpens everything up, including the ride quality. While ‘A’ is for ‘All Weather’, by which it means bloody awful weather like the day of my original test that somehow managed to combine heavy rain, high winds, three degrees centigrade and sunshine. It increases the sensitivity of the traction control system to cope with loose surfaces or wet or snowy conditions. Snow was the one weather condition we didn’t get. But the weather is why my original video test was just two minutes rather than the usual three to four. And why I reshot it in the summer. 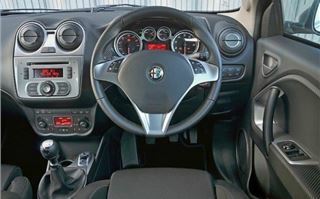 The steering wheel is height and reach adjustable but, in order to give a clear view of the dials, even low is high. MiTos come in three trim levels and, initially, five different engines. There’s a 1.4 petrol with 95PS, or as a 120PS turbo, or with the wick turned up to a heady 155PS. (That’s the one we drove.) 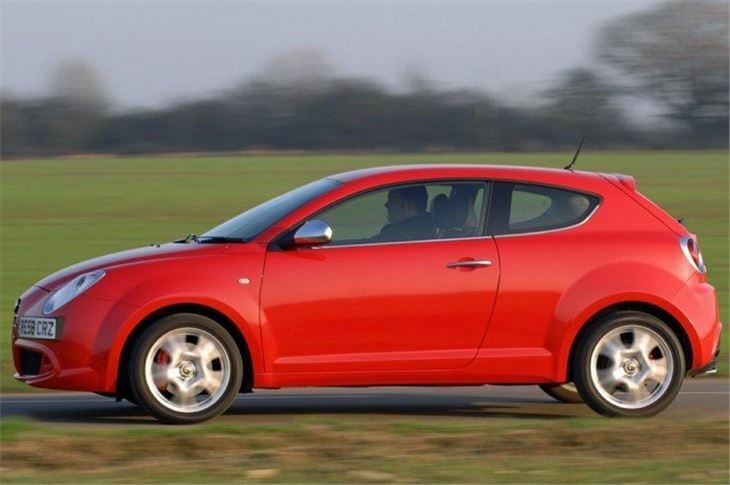 You can also have a 1.3 diesel that qualifies for £35pa VED, and a 1.6 diesel with the same new 120PS engine as the FIAT Bravo. The 155 Turbo I drove is actually a bit of a hooligan, and felt like it picked up speed rather more quickly than the figures suggest. It did not do this with any finesse at all. 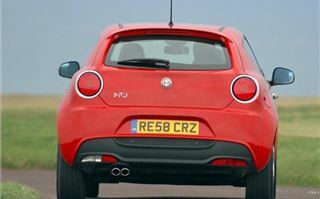 Yet curiously, towards the end of my test-drives, was starting to prove quite endearing. It’s often the case that you spot a car’s faults in the first 500 metres, then start finding yourself driving around them, trying to get the best out it, and eventually getting to like it. 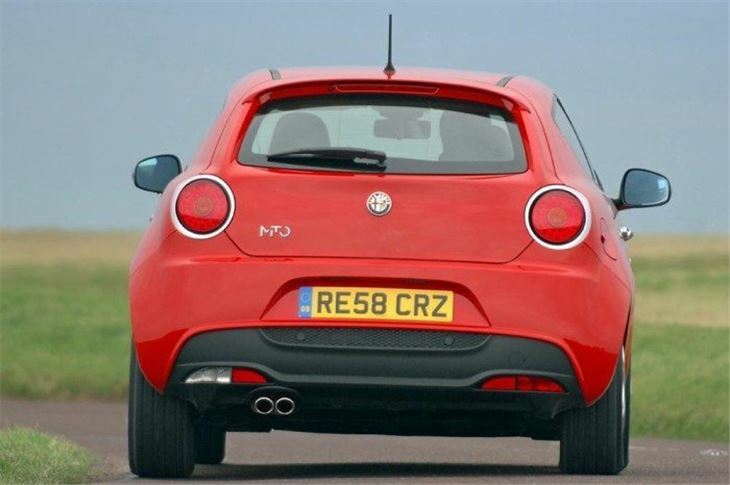 Sitting back and making an objective judgement, however, I’d have to say if you like a really sweet handling front-drive car, then go for a Mazda 2 or a Suzuki Swift or a MINI Cooper, or maybe a new Fiesta. 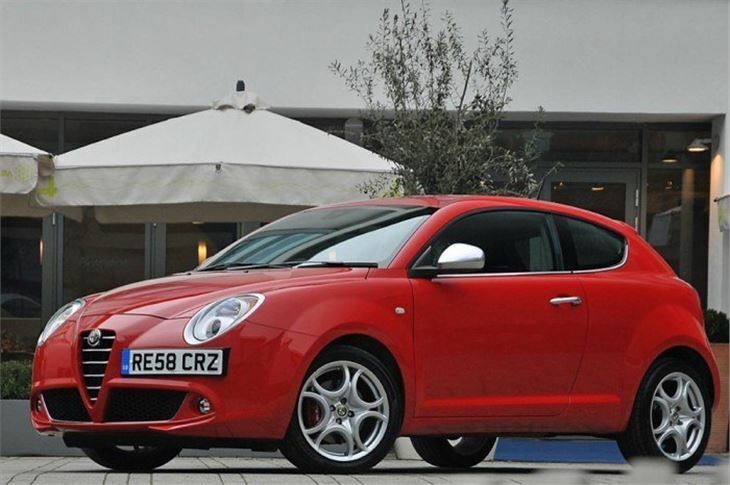 But if you want a cute, coupe-like 4-seater hatchback that’s a real style statement and can still be a lot of fun, then not much wrong with the MiTo. 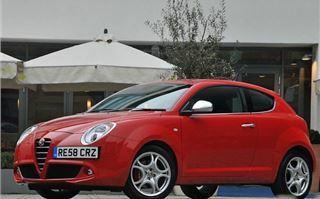 It may not be a better car than the 500 Abarth. 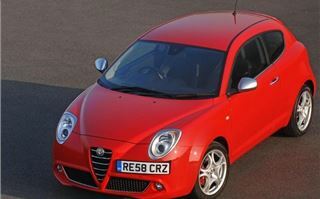 Or the Grande Punto Abarth. But it is a more stylish car. 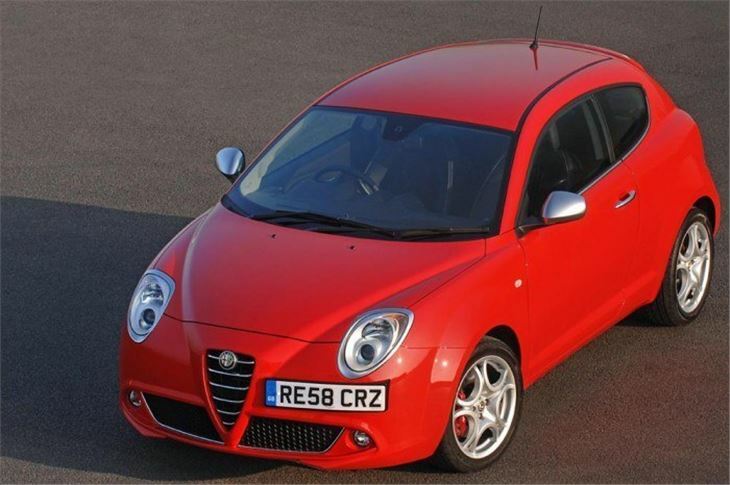 And, like the FIAT 500, you don’t have to go for the hot version to look cool. 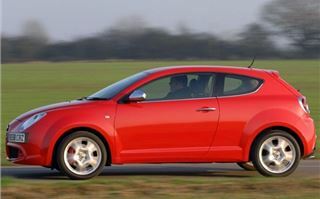 You could settle for the 1.3 Multijet, get over 60mpg if you’re careful, and pay just £35 tax. How many cars that look like this, can you get away with that in?